« So what exactly is beeswax? Obviously I am acutely aware that Queen B candles have a higher upfront cost than many of their toxic cousins, and I think that their price is a barrier to purchase. However, what most people don’t realise is that beeswax candles give you far more bang for your buck when compared to scented soy or paraffin candles. For the purposes of my research, I looked at Ecoya’s soy wax candles (they are the biggest brand in that category) and Glasshouse’s scented jar candles (the most popular brand in their category). Looking at their pricing and burn times online, I found that their cost to burn ranges from 50c to 67c per hour. Based on the information from their websites. By way of contrast, our larger rolled pillars, solid pillars, tealights and tapers ALL fall within, and mostly BELOW, this cost per hour. 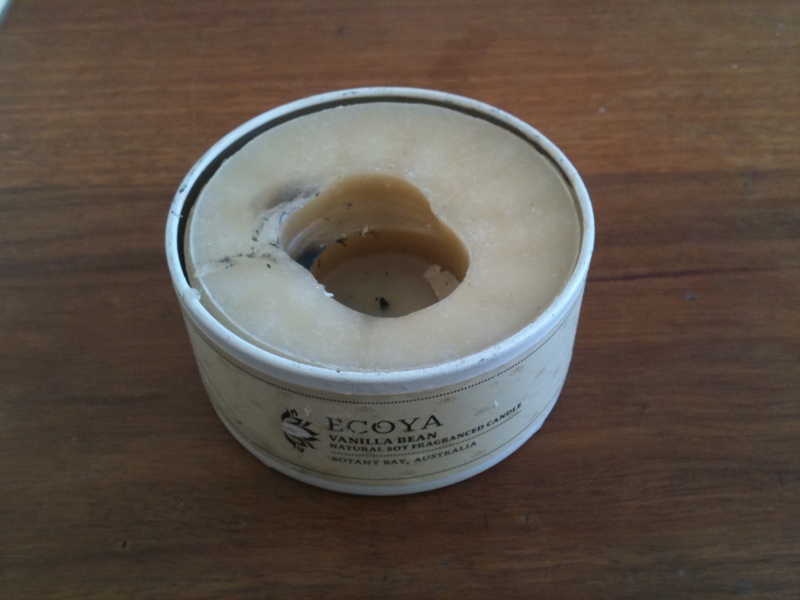 Our 20cm fat honeycomb rolled pillar, for example, is some 20 – 40% cheaper per hour than burning an Ecoya or Glasshouse candle. And whilst some may like the strong fragrances of these other brands, they are scented in the most part with synthetic, petro-chemical fragrant oils. While you may think that they are fragrancing your home in a pleasing way, they are doing so in a manner that is toxic to you and your loved ones. What’s more, most of them come with elaborate, tree-felling packaging made in China or Hong Kong. And when the candle is finished, their customers typically throw the jar (and residual wax) into the bin to join the mountains of landfill we’re already trying to cope with. The other GREAT news is that when you buy a Queen B pure beeswax candle you are supporting Australian beekeepers, our ISO certified – family owned – Sydney based – environmental printer, our landlord (!) and, of course, the incredibly talented team of artisans at Queen B. At Queen B, we know that adding candlelight to your home each evening, enhances the quality of your life and we regard it as a privilege to be able to provide that light. By switching more of your purchases towards beeswax candles, you are not just supporting Australian businesses right back to the honey farm, you’re also protecting you and your loved ones.